If you have staff like receptionists, administrators or external consultants that need access to your Timely account but don't require a calendar to take their own appointments, then you can add these staff to your account as Administrators. 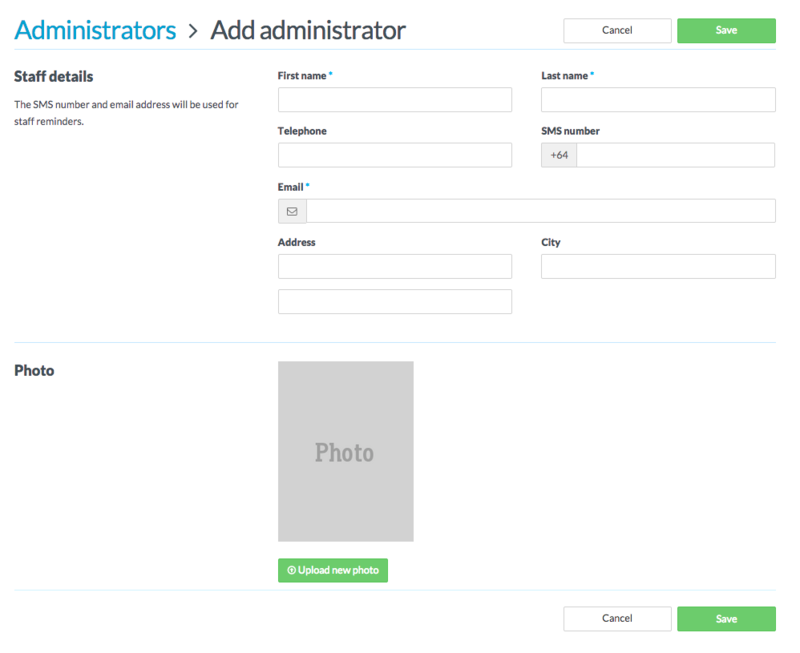 There is no charge for adding administrators to your account and you can add as many as you require. You can't change an existing Staff member to an Administrator right now. The best approach is to delete the staff member first and recreate them as an Administrator following the steps below. Go to Setup > Administrators from the main menu. Click on the green Add administrator button. Upload a photo, this will be displayed on your mini website alongside your other staff. Click Save to update and add the administrator to your account. Staff access can only be granted by the account holder. Head to Account in the main menu and choose Staff access from the options.